Just about every athlete plateaus at some stage. Stuck in the same old training routine, the same old speed sessions, the same old mileage. So it’s no surprise that they end up with the same old race times: not good and definitely not motivating! Train with people who will push you harder, not just any group. Many runners of this generation, especially club runners who are asked to do many different events, don’t bother to pick specific distance targets. They run generally from 5km to full marathons with just a little tailored training to suit their next race. In general, this means most athletes become good at all the longer distances, but not great at any of them. Whether it’s one or a maximum of two targets a year, why not be selfish and train specifically for them? You can still do a few other races that compliment them, but treat them as B or C races, or even just hard training runs. Also, make sure they compliment the target race. So go ahead and pick something like a half marathon: build on your speed endurance with the occasional hard 15+ miler and smash that PB. If you’re a member of a club, hopefully your club coaches will guide you to a schedule that will support you in building your ability for your chosen event. You WILL get amazing new PB’s and maybe even a few others along the way – simply because you’ve improved that much! Depending on your target race, you’re going to need to break down your training to build on all the elements you will need to deliver your new PB. Any training schedule should be a marriage of overloading your body with training stress, then recovering so your body can adapt to that overload and ultimately improve. The best way to do this is in broken down phases of improving specific training aspects such as stamina, speed endurance, strengthening and sharpening. This is key to getting your body in peak form. The length and make-up of the schedule will differ hugely depending on your chosen race. Please ask your club coaches for advice. 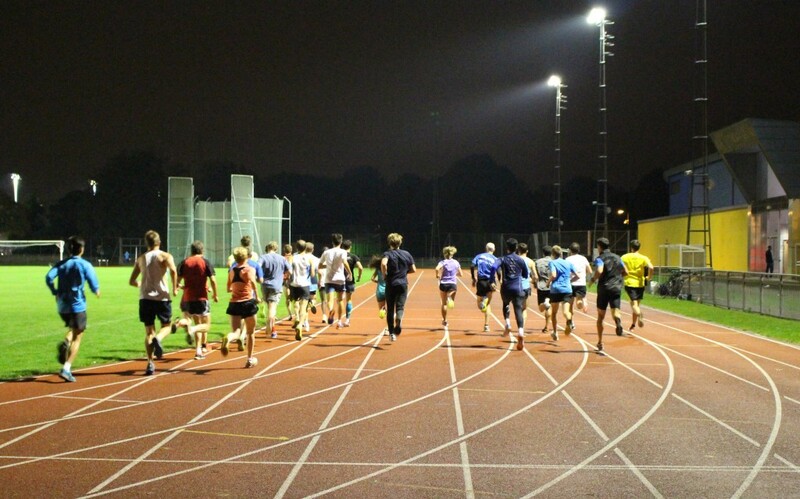 Join a running club: Not all clubs are the same so find a club that best suits you. Push yourself into a group where you’re not comfortable. You’ll soon be catching fellow club runners who previously looked like they were running miles ahead. Find a local club. Start running at the free Parkrun events: Parkrun is a regular 5km time trial hosted all over the UK. A 5km tempo run with that added push of some friendly local runners is a good compliment to just about any running schedule. Sign up to a training camp: A great way to seriously boost any schedule and to really kick your body into action. Most camps will offer a wide mix of activities to maximise the training opportunity with adequate recovery and nutrition to support the added workload. While on the camp you’ll usually get one to one coaching, lots of general running advice and loads of time to swap experiences with similar athletes. Neil Aitken is a founding member of the Clapham Chasers and part of www.embracesports.co.uk which runs training camps in the UK and abroad. Neil is also a UK Athletics Qualified Coach, a Championship marathon runner, a 72min half marathon & 32min 10km athlete.